Coleman Rock Springs 3 is a fantastic new touring dome tent with a bomb-proof construction courtesy of the cross over pre-bent (Stan bends his own) pole sets. 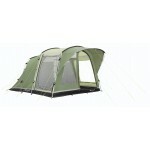 The tent features a single 3-berth berth bedroom plus a fully sewn-in groundsheet throughout in the front porch area. 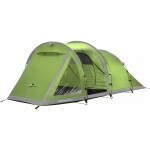 It also has two doors - one front and one rear for flexibility in poor weather. 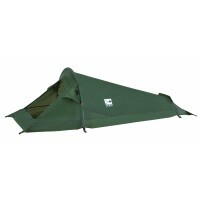 The Rock Springs is also pitched flysheet first thanks to the external pole sleeve system. The flysheet is fire retardant PU coated polyester with taped seams giving 2000mm hydrostatic head protection. 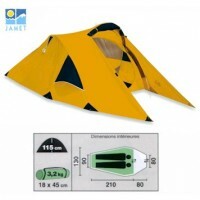 The inner tent is made of breathable polyester with no-see-um mesh door and PE groundsheet base. Fibreglass pole construction. Comes complete with carry bag. 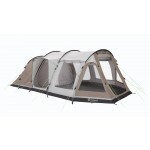 Coleman Rock Springs 3 Dome Tent.